It's one thing to make claims. It's another to follow through. And that's exactly what we do. 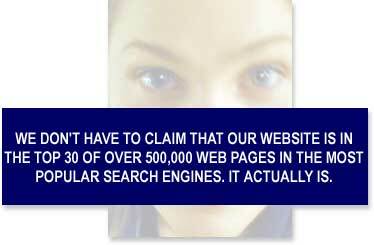 That is why when users search major search engines for Cape Coral, they find us. So if your looking for Internet advertising that means what they say, look no further. Limited time pricing during promotional period. Ahead of gold,silver, basic, display ads. Companies with an online Display Ad are listed in the Advertiser section in the category of your choice, along with other Display Ad and Gold Plan advertisers. If you purchase a Platinum, Gold or Silver Plan, your link and business listing will appear in a prominent position in the ADVERTISERS Section! Choose one of the 5 options above: Space is limited, don't be left out. These and other custom plans available to suit your individual needs. We would be happy to answer your questions or help you with setup on any of the plans. Ask about sponsoring a virtual tour with your business ad for only $19.95 per month. Special! Restaurants - Get a Free Virtual Tour and your restaurant listed on our restaurants homepage for only $24.95 a month. Limited time. Restrictions apply.